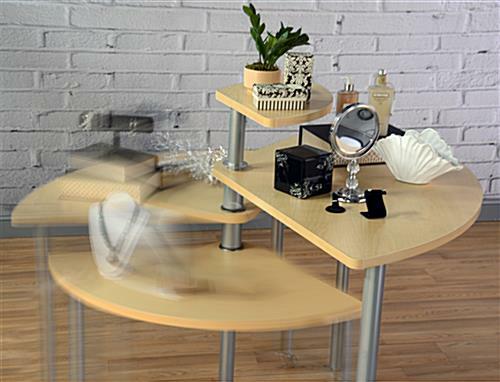 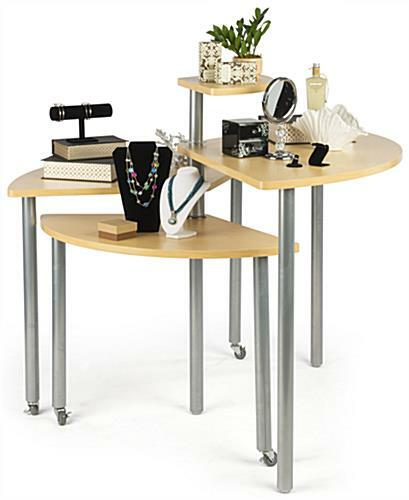 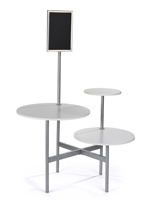 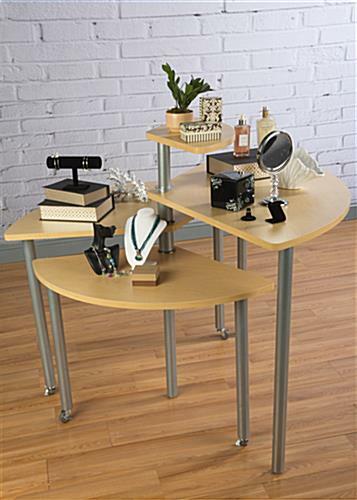 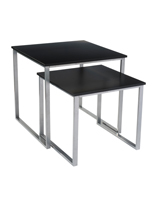 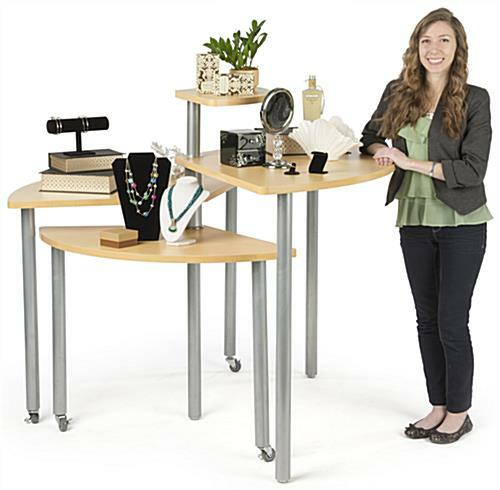 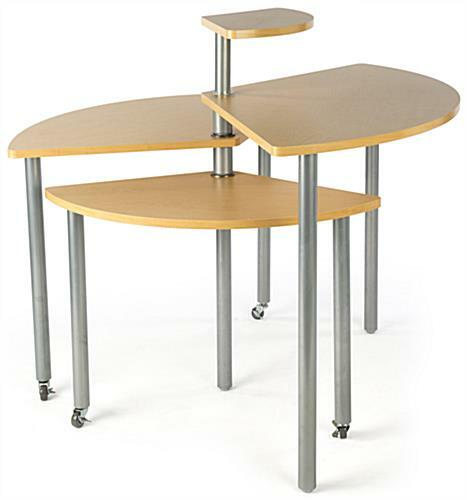 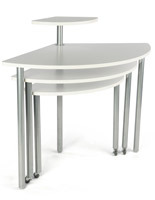 These maple rotating retail display tables are the perfect way to showcase your merchandise. 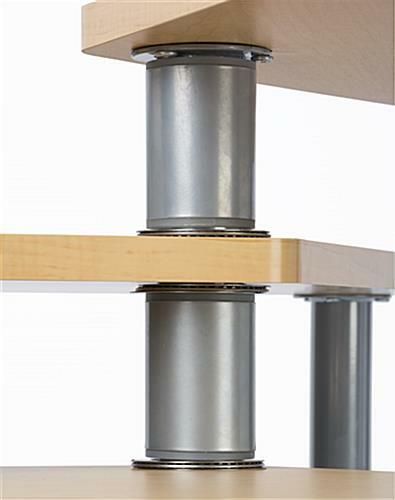 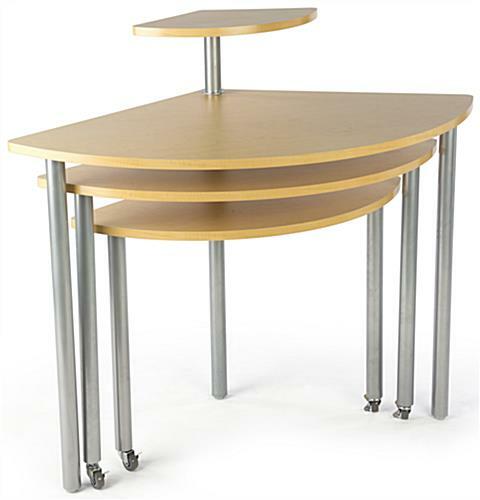 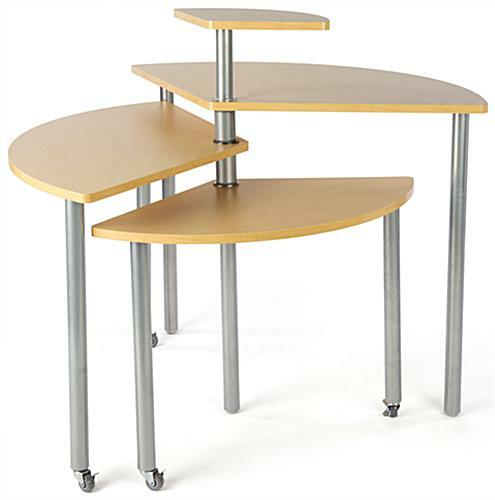 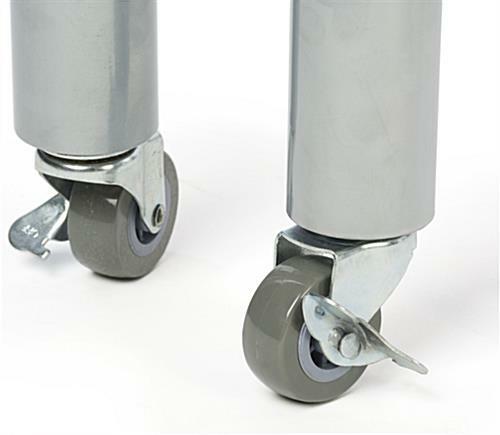 The laminated MDF stands come with rolling wheels for easy mobility. 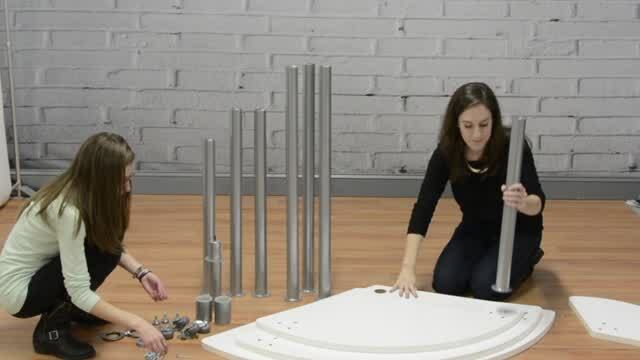 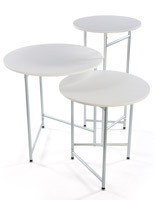 Each light colored table fits under the next size up for fast and neat storage. 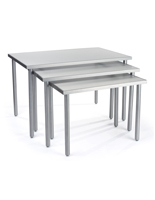 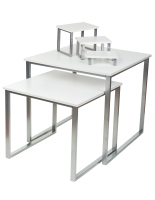 The poweder coated silver legs blend seamlessly with any decor and setting. 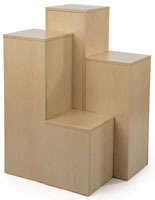 Order the tables for all your tiered displays today! 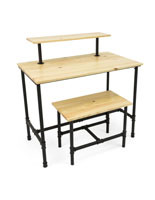 54.5" x 39.5" x 32.0"